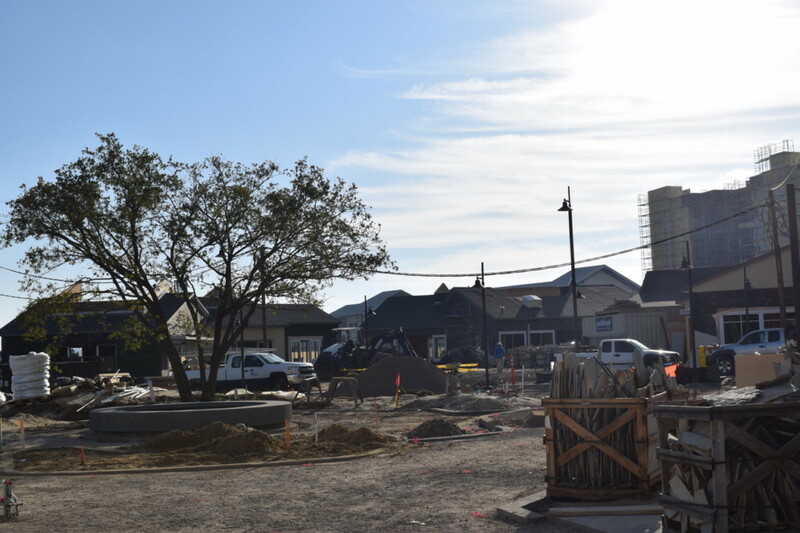 One Paseo’s retail component is set to open on March 1. 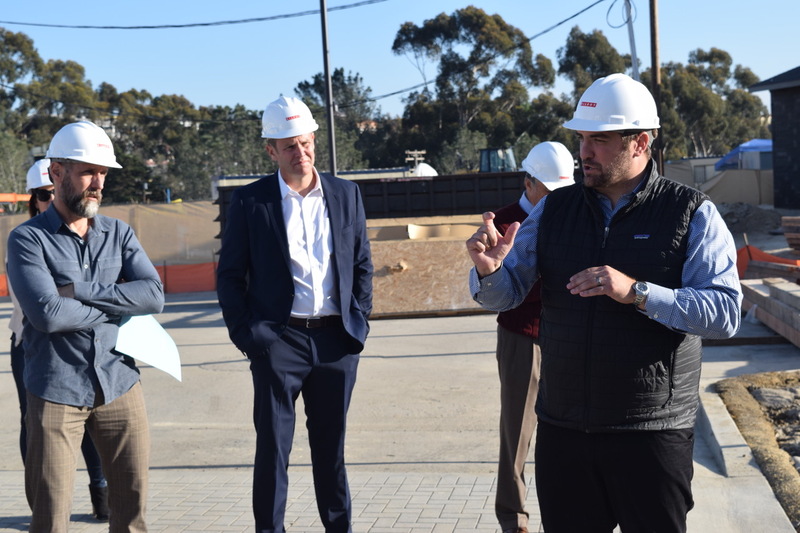 The long-disputed project will bring a variety of retailers and restaurateurs to the Carmel Valley area, such as Blackbook Bikini, Mizukiyama Sushi and International Smoke. Photo by Lexy Brodt. 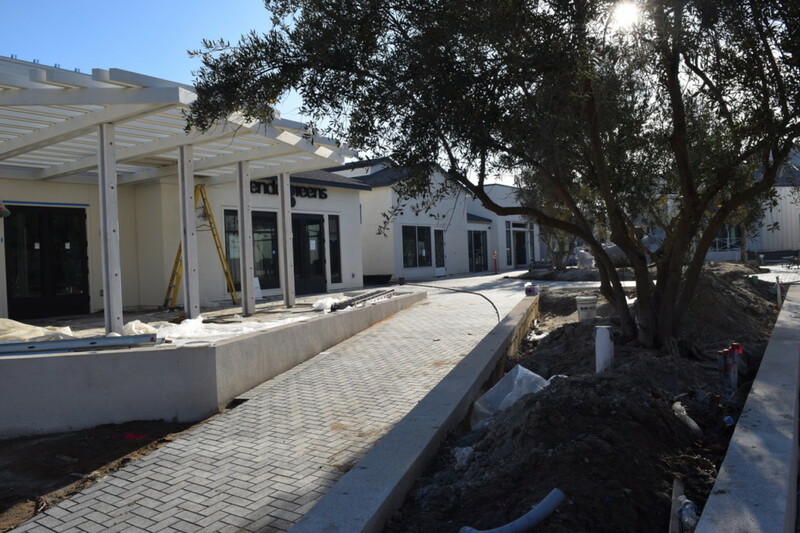 CARMEL VALLEY — After over two years of construction, the once controversial One Paseo is just a month from opening its doors. 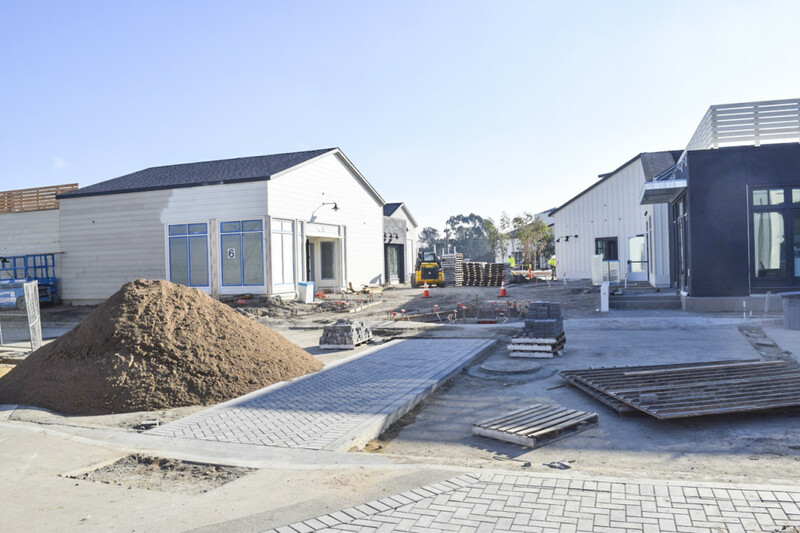 Located at the corner of Del Mar Heights Road and El Camino Real, the development’s retail space will be the first segment of the 1.18 million-square-foot project to open on March 1. Residential units will follow suit in the summer of 2019, and office spaces in 2020. The project is helmed by developer Kilroy Realty Corporation. Site Renderings reveal the full scope of the 1.18 million-square-foot, mixed-use project. According to Kilroy Realty Corporation’s Senior Vice President Nelson Ackerly, the office, retail and residential portions of the project are “meant to almost be seamless and blend together.” Renderings courtesy of Kilroy Realty Corporation. There will be 44 retail tenants — four of which are yet to be determined. Of the announced retailers that will occupy the 96,000-square-foot retail area, the offerings are diverse: exercise options such as Soul Cycle, sweet tooth go-to’s like Shake Shack, as well as a variety of clothing options. Culinary and beverage choices run the gamut from the quick bite to the celebrity-infused. Curious, Instagram-savvy foodies can hit International Smoke, a restaurant collaboration between celebrity cook Ayesha Curry and renowned chef Michael Mina. For your typical beer lover, the co-founder of San Diego’s own Saint Archer Brewing Company will open up another location of his separate company, Harland Brewing Co., at the western portion of the retail site. Nate Smith, Kilroy Realty Corporation’s Vice President of Retail, called the One Paseo retail section a “true curation.” The development will have 44 tenants within a 96,000-square-foot space. “We’ve poured our heart and soul into it,” Smith said. Photo by Lexy Brodt. Smith called the layout a “true curation,” selling One Paseo’s new tenants as the next generation of retailers, clicks-to-bricks “media darlings” with a strong online presence. He boasted that the site’s retailers may bring in a combined 250,000-person following on Instagram. Smith said the offerings include a “good mix” of both well-known national brands and local companies, such as Blackbook Bikini out of Encinitas and Parakeet Café out of La Jolla. A few of the site’s offerings are split into “collections,” clusters of shops offering women’s services (Drybar, Color Counter) or health food options (Joe & the Juice, Tender Greens). When asked how the site’s retail options would offer something new from what already exists across the street at the Del Mar Highlands, Smith responded that the client base is the same, but the experience is “significantly different.” He mentioned the smaller size of the project inhibits any talk of a large grocer or theater — the latter of which was actually part of the project’s original design. 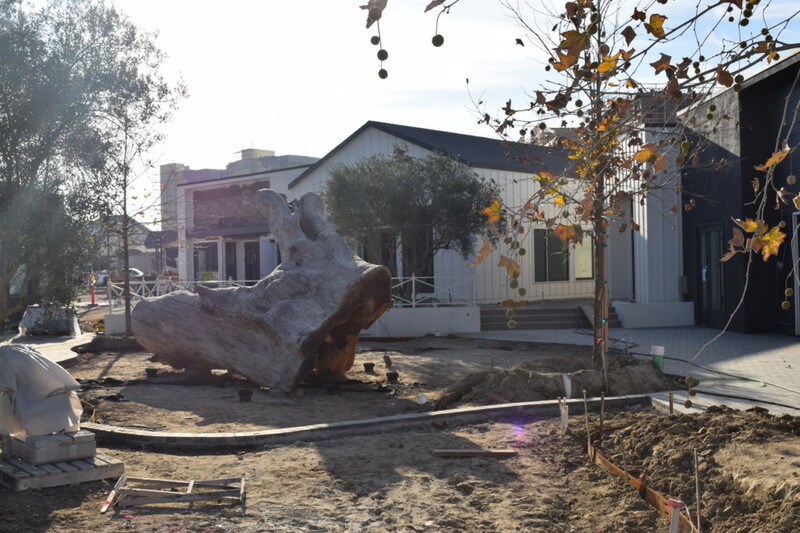 A segment of a eucalyptus tree forms the centerpiece of One Paseo’s retail site. Created by Bay Area woodworker Evan Shively, the piece will serve as a “play element” for younger visitors. Photo by Lexy Brodt. “I would say this is a little more experiential, and a bit more elevated food and beverage experience,” he said. The retail area is accompanied by a three-story parking structure with 570 spaces. 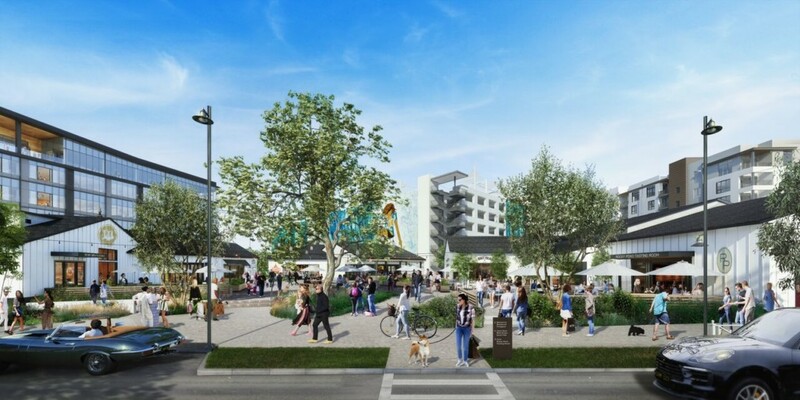 The site will also offer valet parking and a shuttle connecting One Paseo to five different stops, including one at the Solana Beach transit center. The retail section relies heavily on large outdoor spaces — with several sizeable patios hugging the area’s soon-to-be restaurants. A large eucalyptus tree trunk rests on its side in the center of the project, renovated by a Bay Area woodworker and intended as both an art piece and a “play element” for the destination’s younger visitors. 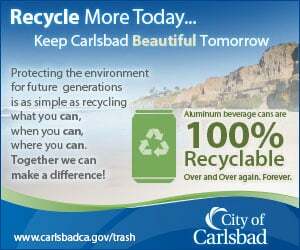 The project’s team is planning to host a variety of outdoor events, including farmers markets and musical performances. Nelson Ackerly, senior vice president with Kilroy, said he thinks the project will turn out to be something the community “is absolutely going to love,” he said. The project has seen its fair share of obstacles, surviving disgruntled citizen groups, a few potential lawsuits, and a referendum campaign. After significantly scaling down the project — twice — One Paseo finally got a green light from the San Diego City Council in June of 2016. The project will have 608 residential units, 61 of which will be affordable. Photo by Lexy Brodt. Its original plan called for a 1.8 million-gross-square-foot, mixed-use development on the formerly vacant 23.6-acre lot. It has since been scaled down to 1.18 million square feet. The retail space was cut by about 60 percent and the office space was cut by about 40 percent — now at 286,000 square feet. The planned building height previously reached as high as 10 stories — it is now scaled down to a maximum of six stories, with 30-foot minimum setbacks from neighboring streets. The project will have 608 residential units, 61 of which will be affordable. They range in size from studios to three-bedrooms.